Soon after the outbreak of the First World War the the German Navy attempted to halt the flow of imports to Britain by introducing unrestricted submarine warfare. By the end of 1916, U-German boats were on average destroying about 300,000 tons of shipping a month. In February 1917, the German Navy sank 230 ships bringing food and other supplies to Britain. The following month a record 507,001 tons of shipping was lost as a result of the U-boat campaign. However, Britain was successful at increasing food production and the wheat harvest of 1917 was the best in our history. Potatoes were often in short-supply and sugar was often difficult to get. Whereas the weekly consumption of sugar was 1.49 lb in 1914, it fell to 0.93 lb in 1918. The consumption of butchers' meat also dropped from an average of 2.36 to 1.53 lb a week during this period. At the end of 1917 people began to fear that the country was running out of food. Panic buying led to shortages and so in January 1918, the Ministry of Food decided to introduce rationing. Sugar was the first to be rationed and this was later followed by butchers' meat. The idea of rationing food was to guarantee supplies, not to reduce consumption. This was successful and official figures show that the intake of calories almost kept up to the pre-war level. 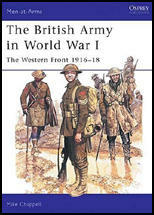 (1) Charles Young was interviewed about his experiences of the First World War in 1984. When I returned after the war relatives told me how bad it had been. You see, us being an island hardly any food could get through, because German U-boats were sinking our food convoys. My family lived on bones from the butcher made into soups. And black bread. And when some food did get delivered to the shops everyone for miles around besieged the place. The queues stretched for miles, and if you were old or infirm you stood no chance. Many, especially children, died of starvation. Food riots were very common. But news like this was kept from us, over in France. we only got to hear about it from men who came back after being on leave. I think that is why leave to England was very rare, and severely restricted. One day I was in the trench and we'd been under-non stop attack for days. Well, two of the blokes with me shot themselves on purpose to try and get sent home and out of the war. One said to me "Chas, I am going home to my wife and kids. I'll be some use to them as a cripple, but none at all dead! I am starving here, and so are they at home, we may as well starve together." With that he fired a shot through his boot. When the medics got his boot off, two of his toes and a lot of his foot had gone. But the injuring oneself to get out of it was quite common. So far as the vast bulk of the population was concerned, this rationing system, troublesome though in some respects it was to them, ensured a regular and sufficient food supply; and it made it possible for those in charge to calculate with some precision how best they could make the stocks of available food-stuffs go round equitably. When meat was slightly more plentiful, the ration could be raised. When it grew scarcer, the amount purchasable with each meat coupon was cut down. The steady improvement in our national health figures during and after the War, as compared with pre-War returns, shows that compulsory temperance in eating was in general more beneficial than harmful in its effects. Although there was a degree of scarcity, we were never faced with famine or actual privation. Credit is due to our people for the loyal manner in which they submitted themselves to these strange and unwelcome restrictions. Without general goodwill it would have been impossible to make the regulations effective.